To suit your application needs, our end fittings can be the same on each end, or different sizes and types to suit your requirements. They are manufactured in a range of finishes and materials including nylon, steel, stainless steel and zinc. 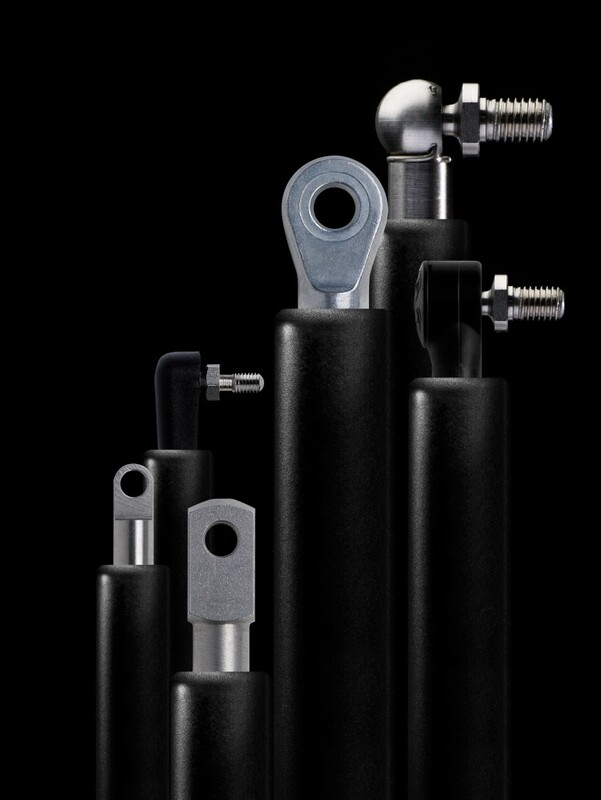 Through our bespoke service offering, we can work with you to provide gas spring solutions outside of the standard type and size range. Talk with one of our engineering team by filling in the Contact Us form if you require further assistance. To access our wealth of information on gas spring, damper and motion control solutions – head over to our Technical Support page. Our most popular end fittings are also available in stainless steel.